An investment in palladium and platinum will be one of the best moves of the year if international events in Europe continue to intensify. Investors need to be prepared to move quickly if sanctions are enacted against Russia in metals. Russian troop movements along the border of south and east Ukraine only make economic warfare more likely if invasion actually occurs. Where most metals have many different sources in the world platinum and especially palladium are more limited to where they are actually mined. A quick look at the top producers of platinum will show that Russia is the world’s second largest producer of the metal. Only South Africa produces more platinum than Russia. In 2009 South Africa produced 141,000 kilograms (kg). In 2010 production stood at 148,000 kg. In 2011 it declined to 145,000 kg. The year 2012 brought a decline to 128,000 kg. 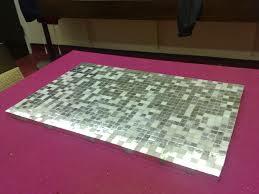 In Russia production of platinum in 2009 was 21,000 kg. In 2010 it increased to 25,100 kg. In 2011 it was 25,000 kg. In 2012 it increased to 26,000 kg. The other top producers of platinum in descending order as of 2009 are Zimbabwe at 7320 kg, Canada 4,600 kg, and the United States and Colombia with 3,830 kg and 1,500 kg respectively. The rest of the world comes in at 2,420 kg. Total world production for the year was 181,000 kg. The statistics for production in 2010 show an increase for Zimbabwe with 8,800 kg and a decline for Canada at 3,900 kg. Platinum production actually fell the same year for the United States coming in at 3,450 kg. Colombia’s production declined to 998 kg. The rest of the world 192,000 kg. The increase was clearly due to a spike in Russian production. 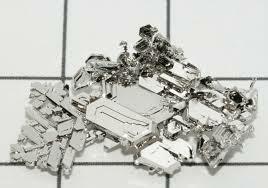 In 2011 total world production of platinum increased to 195,000 kg. Mining in South Africa declined to 139,000 kg and Canada increased production to 7,000 kg. Most of the other countries maintained similar output. In 2012 platinum output was quite stable in most areas of the world with the exception of South Africa. The dramatic decline in output here caused total world output to decline to 179,000 kg. Russia’s importance to world platinum production outside South Africa is quite impressive. However, few realize the overwhelming dominance the nation holds in the production of palladium. Russia is the world leader in the production of palladium. In 2009, 83,200 kg was actually mined. Growth moved higher in 2010 with 84,700 kg. South African production increased from 75,100 kg in 2009 to 82,200 kg in 2010. As is the case with platinum production of palladium is scant elsewhere in the world. The next largest producer is the United States. Production declined from 12,700 kg to 11,600 kg between 2009 and 2010. Canada is next with 6,500 kg and 6,700 kg in the years 2009 and 2010 respectively. Zimbabwe follows with 5,680 kg and 7,000 kg for the same years. Production in the rest of the world was 9,230 kg in 2009 and 9,540 kg in 2010. Total world production stood at 192,000 kg in 2009 and 202,000 kg in 2010. In 2011 palladium production stabilized in South Africa at 82,000 kg but increased in Russia to 86,000 kg keeping its number one spot. Production increased in the United States and Zimbabwe as well. Production surged in Canada to 14,000 kg more than doubling production. In the rest of the world production increased to 12,200 kg and total world output increased to 215,000 kg. In 2012 total world output of palladium fell to 200,000 kg mainly because a drop of 10,000 kg in South Africa and a 4,000 kg drop in Russia. As the United States and Europe have taken military action off the table in response to Russian aggression in the Ukraine, trade sanctions and embargoes of good and commodities including energy and metals become much more likely. The question on the minds of many investors is what uses do these two metals have outside of coins and jewelry? A very common usage for both of these metals has been with gasoline-engine catalytic converters. Most motor vehicle manufacturers today have fully substituted palladium for the more expensive platinum for this purpose however. As much as 25% palladium can be substituted for platinum in diesel catalytic convertors. 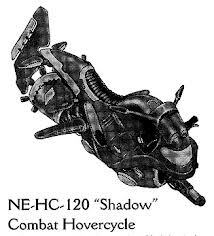 New technology has increased this proportion in many vehicles. 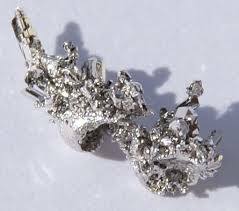 It is important to note that catalytic convertors and fine jewelry alone consume more than 70% of the world’s supply of platinum. Other uses include fuel cells, hard disks in computers, and in the petroleum industry. 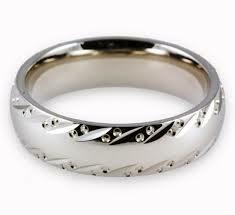 It is estimated that 1/5 of everything we use either contains platinum or requires the metal in its manufacture. It also important to remember that the annual supply of platinum is only 130 tons. By weight that is only 6% of the total Western World’s annual mine production of gold and less than 1% of the silver produced. It takes about 10 tons of ore sometimes a mile underground with temperatures in excess of 120 degrees Fahrenheit to produce 1 ounce of platinum. The total extraction process takes about 6 months. Relative to the amount mined platinum has many more industrial uses than either gold or silver. In fact more than 50% of the metal produced is consumed by industrial uses and cannot not recovered. Most important for investors of platinum unlike gold there are no large inventories of above ground platinum. Therefore, any disruption in the supply would vastly increase the spot market price. Palladium is often alloyed with gold to make white gold in jewelry. In addition to catalytic convertors palladium is used in multilayer ceramic capacitors. These are an important part of common electronic equipment. 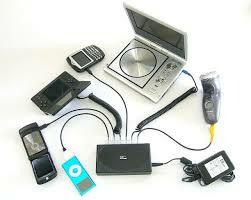 It includes fax machines, cell phones, laptops etc. It has a further use in connector plating. The applications of the metal in chemistry and electronics indicate that it will become more useful as technology advances. Researchers are looking at the potential in fuel cells and for hydrogen storage. Palladium may just be the industrial metal for the future. In addition to Russia, South Africa as aforementioned is the main world supplier of both platinum and palladium. Strikes in 2007 and 2012 as a result of massive corruption, low wages and poor working conditions in South African mining makes it unlikely that production can be ramped up due to supply disruptions elsewhere. Indeed in 2013 they were threats made by South African government officials to revoke the licenses for mining companies for maladministration. Already in 2014, strikes in the mining industry have gone on for weeks. Currently South Africa produces 37% of world production of palladium and Russia supplies 40%. In March of this year palladium already has reached $775 USD per ounce and platinum briefly flirted with $1500 USD an ounce. 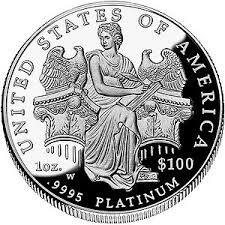 At the close of business on March 20, 2014 the price for platinum stood at $1436 an ounce and palladium $772.00 an ounce. I predict as the crisis in Russia continues that fears of disruption of supply will force the market price of these 2 vital metals to increase quite dramatically. Great stuff. You seemed to miss an important part. South African mines have been on 8 week strike. One of the two unions settled yesterday at one of the mining companies. You are correct that there has been a settlement with one of the unions for now. However, some analysts continue to voice that the agreement will not hold as there are still a number of unresolved issues. The long term view is that there will continue to be problems with the miners because of low pay and working conditions overall. The future expectation is for more work stoppages and strikes.